Did you know that many foods in your pantry can double up as all natural antibiotics in case of an emergency? While the media may point out the dangers of Zika, flu pandemics, and other “newly” emerging diseases, they say very little about the rise of “super bugs”. These common diseases are quickly outstripping the ability of modern antibiotics to deal with them. As a result, social collapse may well come from familiar infections that we can no longer treat with penicillin, erythromycin, or any other antibiotic that you decided to stockpile. What will you do after a social collapse when you need antibiotics to fight super bugs, or any other infection, for that matter? Surprisingly enough, your can kill some of the worst infections known to man with the helps of all natural antibiotics. While not all of the seven antibiotics listed below will work for every infection, all will help in many situations where even modern antibiotics are failing miserably. 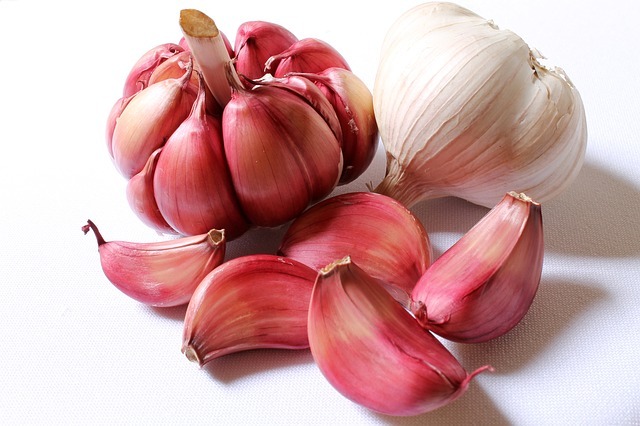 Of all the natural remedies for infections, garlic stands out as one of the best. It is one of the few that acts as an antiviral as well as an antibacterial. Unlike most antibiotics, bacteria cannot develop a tolerance to garlic. Therefore, if you are concerned about the most current strains of super bugs, garlic should definitely be in your stockpile of seeds and plants to keep on hand. Ideally, you should use raw, fresh cloves. However, you can also add them to anything you are cooking. When using garlic, exercise caution because it can also act as a blood thinner. Ginger is a potent antibacterial. It works well in tea form for bacterial upper respiratory infections. You can also use ginger as an antiseptic wound cleaner. When combined with honey, ginger will be effective against most super bugs. Another use for ginger is for relieving stomach irritation, sinus inflammation, and joint pain. Insofar as stockpiling plans, you can store away roots for both growing and making into tea. Just make sure that you know how to recognize the budding part of each rhizome, and then how to prepare them for making new plants and roots. 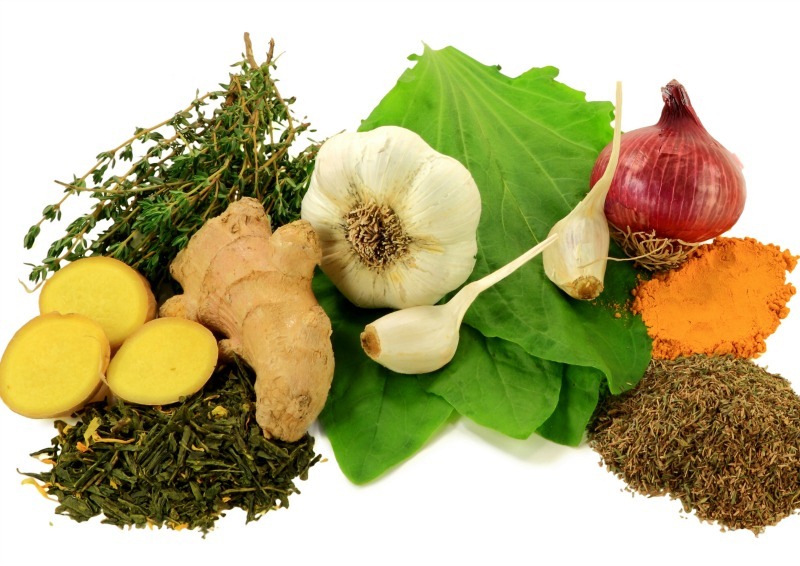 Even though turmeric and ginger are related to each other, you still need to keep both on hand to cover as many infections organisms as possible. When combined with olive oil and black pepper, turmeric can also act as a fighter and inhibitor of cancer. 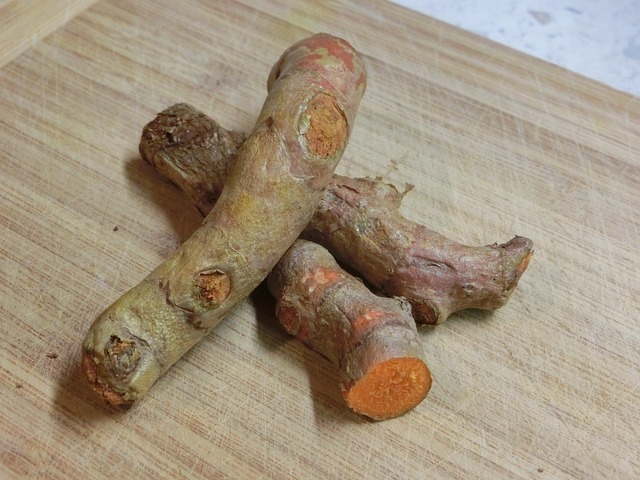 You can use turmeric to make tea (be sure to always add black pepper or it will not get into the body) and in cooking. 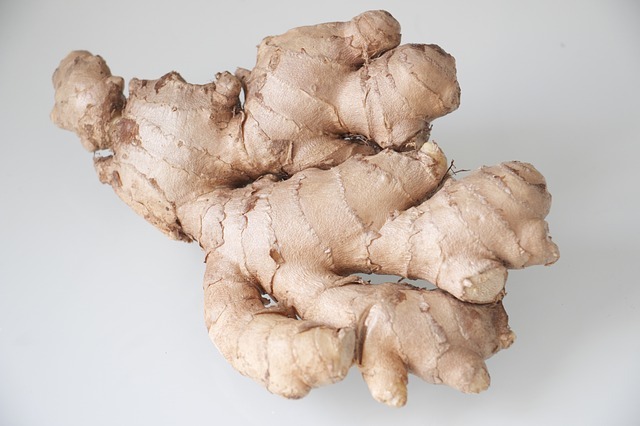 As with ginger, you will need to store away the roots and pay careful attention to rhizome areas. Both plants will grow well enough indoors. However, you will need pots at least 12″ – 16″ deep so that the roots develop properly. 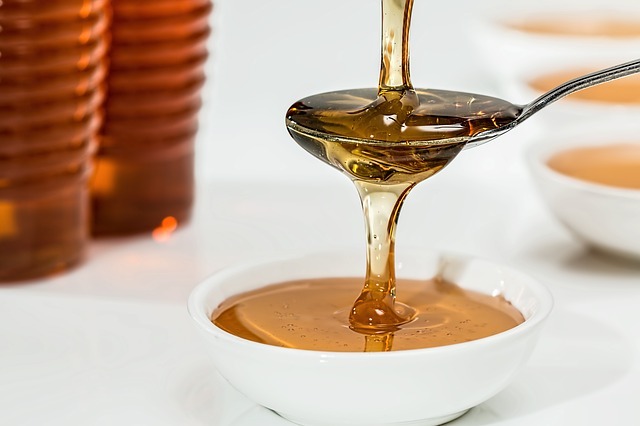 Aside from a sweet taste that cannot be resisted, honey is also one of the gentlest, yet most powerful antibiotics. It is good for mouth and dental infections as well as skin wounds. Since honey bees are in decline, you will more than likely need to start your own hive of bees. Fortunately, you can make smaller sized hives in mason jars. Just remember that you must have one queen per hive and at least a few drones so that the bees will continue to produce from one generation to the next. Purchase queens and drones from commercial dealers. They should also provide instructions on how to handle bees. It may cost a bit and take some practice to learn the art of beekeeping. However, it will be well worth your effort. In many parts of the world, wine is still used routinely to get rid of bacteria and other pathogens in the water. While alcohol will not get rid of an internal infection, it still works well for skin and open wounds. Ethanol or grain alcohol is safe to drink. It is made by fermenting sugary or starchy foods such as potatoes, honey, apples, grapes, and cherries. While most modern wine makers use brewer’s yeast, you can also use regular baking yeast for fermentation. If you need to concentrate the wine to get a higher concentration of alcohol, you will need to use a still. After harvesting the food base, you can expect it to take 3 – 6 months before you have a final product that can be used for water purification, drinking, and wound treatment. Even though there are wild, or natural yeasts that you can harvest, it is best to study this field carefully before trying it as a DIY. For the purposes of your stockpile, be sure to keep both brewers and baking yeast aside. There are many ways to preserve yeast cultures once you get them started. Methanol or wood alcohol is poisonous and cannot be consumed or used for medicinal purposes. As the name implies, methanol can be made from distilling wood. This is, however, a dangerous process and can lead to blindness if the still is not set up correctly. Isopropyl Alcohol is commonly used to cleanse wounds and as a sanitizer. While this alcohol is very useful for medicine, it is also hard to produce at the consumer level. You can do just about the same thing with high proof ethanol. Since ethanol is safer and easier to produce, you are best served by mastering basic fermentation and distillation. If you’ve ever tried your hand at wine making, then you already know how disappointing it is when the whole barrel turns into vinegar! That being said, if your apple jack turns to vinegar, you will have apple cider vinegar, which has excellent antibiotic properties. Gargle with apple cider vinegar to treat thrush, sinus infections, gum infections, and throat infections. 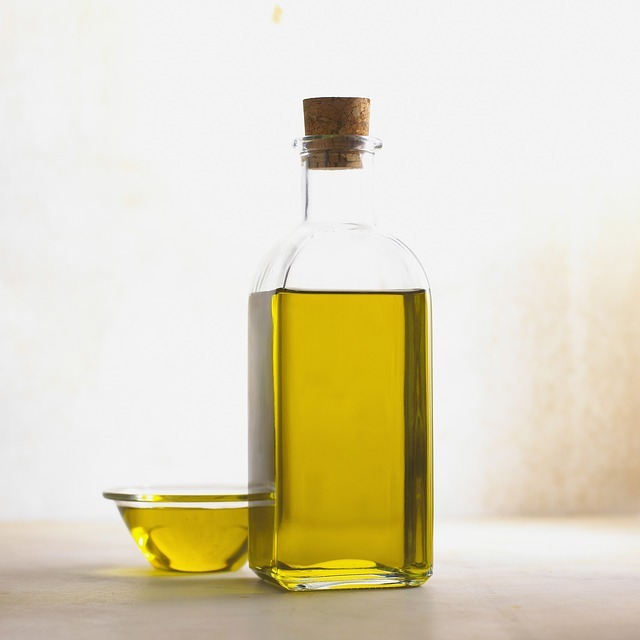 Apple cider vinegar is also one of the best treatments for candida and yeast infections no matter where they show up. 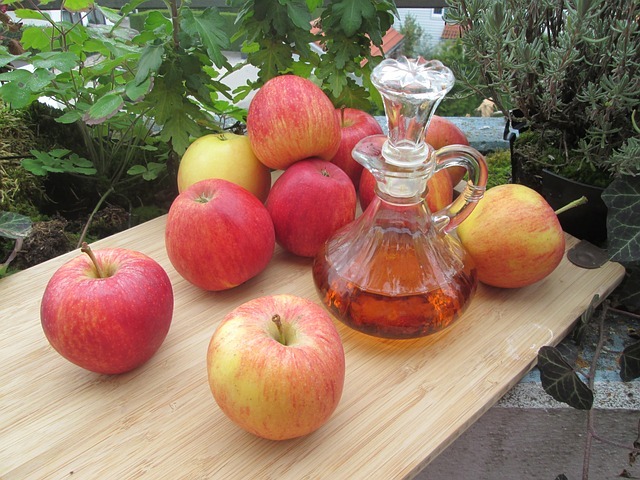 While you can make your own apple cider vinegar, don’t forget that it can take several weeks before it is ready for use. Be sure to store some away in your stockpile, and also make sure that you know how to make it from scratch. In the post-crisis world, bacterial, viral, and fungal infections are only part of the entire disease landscape that will be of concern to you. If you do not have a remedy for intestinal parasites, it can truly spell disaster very quickly. No matter whether you hunt certain animals at the wrong time of year, drink water without cleaning it properly, or you do not cook foods to the proper temperature, you can count on being exposed to all kinds of worms and other parasites. These can cause hallucinations and kill you. As with garlic, be careful when using oregano because it can thin the blood. Since oregano can also lower blood sugar levels, diabetics should also use it with caution. Oregano is a member of the mint family, and therefore very easy to grow. You can keep the seeds on hand in your stockpile, or start plants in a windowsill pot. Use oregano as a tea made with either dry of fresh dried or fresh leaves. If you are interested in making oil infusions and essential oils, this is an excellent herb to start with. It grows very well and is also very easy to work with. In the post-crisis world, poor sanitation, consuming unfamiliar foods, increased risk of injuries, and soaring stress levels are all going to create a situation where you may need antibiotics to treat an infection. Many people are surprised to discover that they have potent, safe antibiotics right in their own kitchen. 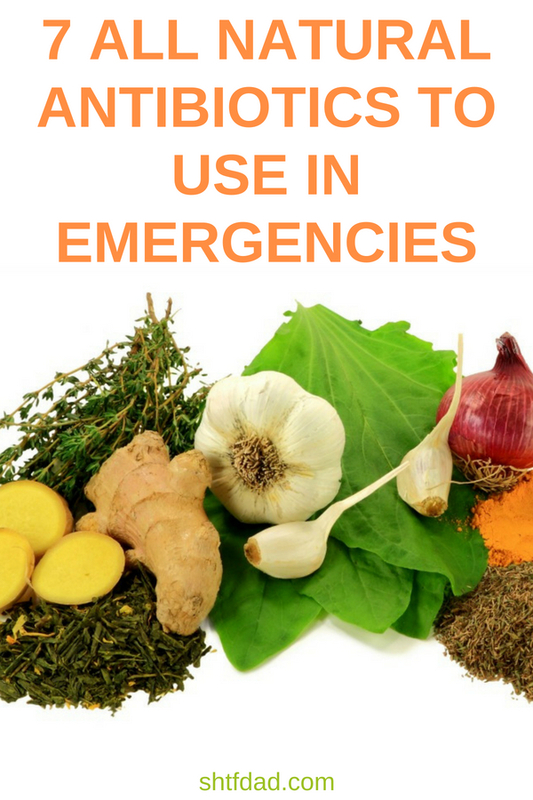 Take the time now to learn how to grow and make these simple foods into powerful medicines that will serve you and your family well in a time of crisis. In addition, if you encounter a super bug that cannot be handled by modern antibiotics, you may just find something in these seven natural remedies that will save your life. Carmela Tyrell is an experienced prepper that enjoys spending time working in her garden and exploring new ways to generate off-grid electricity and water for her family’s home. She prides herself in working hard to cut reliance on all things “municipal” and transition to a more self-sustainable living. She is also very knowledgeable about herbal remedies, surviving a nuclear disaster and bugging in. You can read more of her work on Survivor’s Fortress. You can also follow us on Twitter.